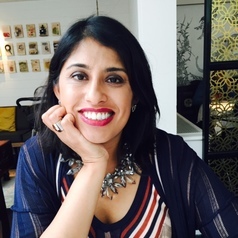 Sarita Malik’s research examines the politics of media communication, representation and institutional frameworks within the contexts of media history, cultural policy and social change. Her research contributes to contemporary debates about race, identity, belonging and the role of culture. She has led several projects that are oriented towards societal impact, public engagement and working collaboratively with external stakeholders, ranging from local, grassroots organisations to large, flagship cultural organisations. Recent externally funded research has included a study in collaboration with the British Film Institute on Diasporic film, and a multi-partner project on community filmmaking and cultural diversity. Sarita is currently the Principal Investigator on a large, international consortia project funded by the UK government’s Arts and Humanities Research Council examining how disenfranchised communities use the arts, media and creativity to challenge marginalisation in mainland UK, Northern Ireland, Palestine and India.